Inspired by mid-century country furniture with a modern twist; the Ovalback 2 Seat Teak Garden Bench is a beautiful piece to have in or outdoors! The Ovalback collection features solid framework and an interesting back piece with an elegant curve at the top and bottom with vertical slats in between. 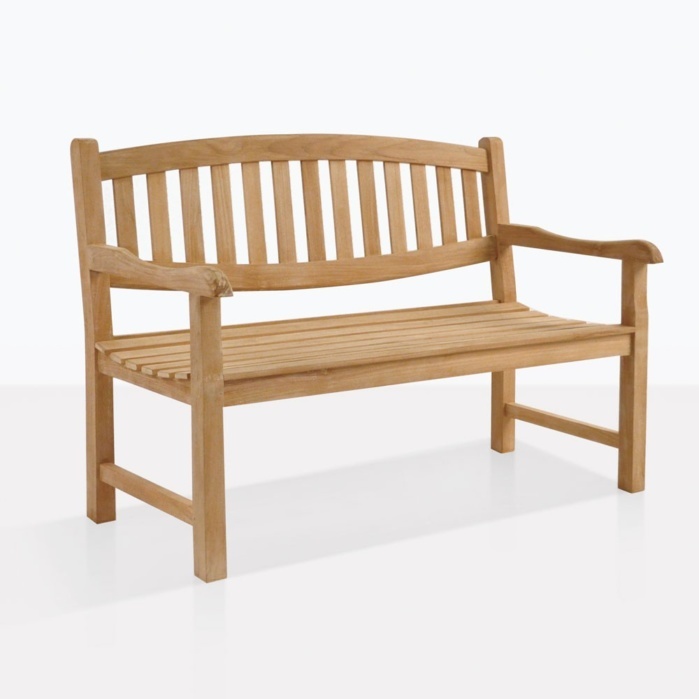 L51" x D25" x H38"
This classic Ovalback range features a 3 Seater Bench as well as the Ovalback Arm and Side Chairs; so you may create a small but perfectly formed seating unit! Create a warm, welcoming set with two of the Ovalback 2 Seater Benches on either side of an Ovalback 3 Seater Bench, dress with some throw cushions in your favorite color, place two of our small Raw Concrete Square Planters on either side of the bigger bench, complete with some gorgeous greenery and you will have a divine setup, perfect for hosting friends and loved ones. 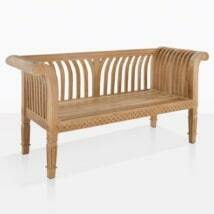 This is also the perfect bench for a sunroom or glasshouse, creating a lovely, warm space for you to unwind. 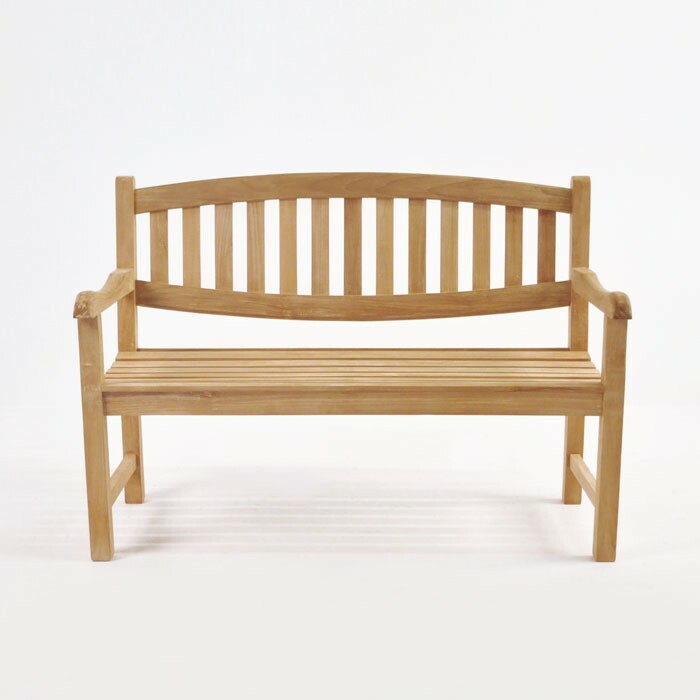 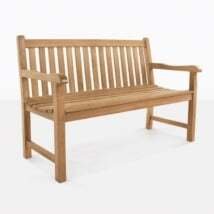 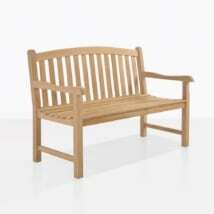 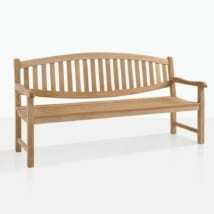 The Ovalback 2 Seat Teak Garden Bench comfortably seats 2 people. 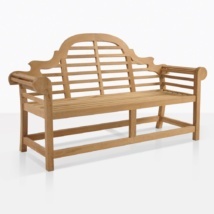 Add seating and an aesthetic touch to your outdoor living space!